Pacific Ocean-Aitutaki-Arutanga My favourite island to visit in the Cook Islands. Small enough to get around and so picturesque. Just a short flight from Rarotonga in the Cook Islands. A beautiful lagoon and lots of little fish to swim with. I was here on a Saturday. The Post office would normally be closed on this date, but I arranged to have it open for my visit. Alice is the postmaster here. A selection of stamps but no sets available to purchase. In fact the standard canceller is broken so they are using the old one at this time. 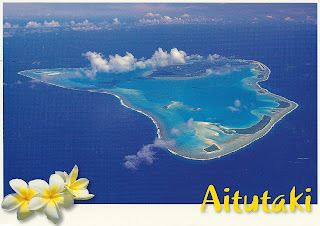 Pacific Ocean-Aitutaki-One Foot Island . Has the most beautiful beach and sand. Enjoyed the day I spend here. Swimming and enjoying the food. So memorable. 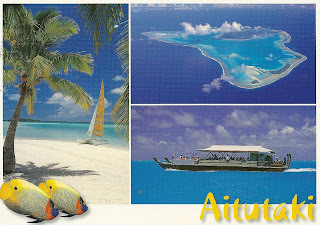 One Foot Island , has its own Post office in association with the Post office on Aitutaki . I was here on a Sunday and the post office is closed then. So the Post office in Aitutaki had this card sent to One foot Island for cancellation. Pacific Ocean-Cook Islands-Rarotonga I was delighted to be visiting the Cook Islands. I had been here on a brief transit stop in the early 1990s and was keen to see the place for real. I was just here for a few days as my main aim was the outer Islands. Some nice beaches , but not much else. But that is what most people come here for . 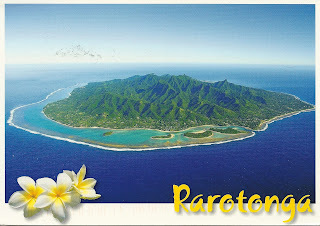 Unfortunately all the rain and wind for this Pacific trip came in two days here in Rarotonga. So did not see as much as one would like . Was great to visit the Post office and meet Elizabeth who is in charge of the office. Only a very limited stock of stamps available and no complete sets . The Post office was quite busy when I visited . Pacific Ocean-Rarotonga-Avarua This card as a overview of Rarotonga. This is what you see as you come in on the plane. The green mountain top is a beautiful site. These are stamps which are listed as "Rarotonga " rather then Cook Islands. I purchased these from the Philatelic Bureau in the USA . The Post office in Rarotonga had none for sale. 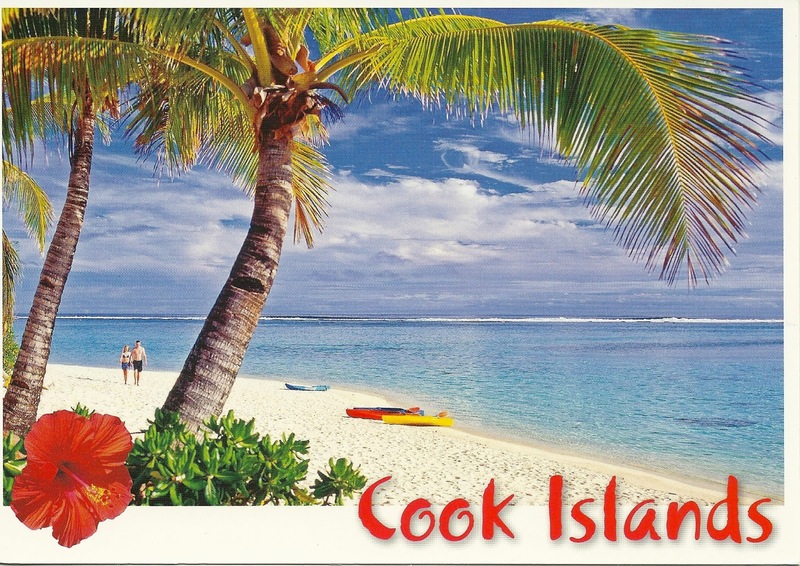 Just standard Cook Islands and Aitutaki stamps were available. .
Pacific Ocean-Niue-Alofi Well I had often wondered what Niue was like. Some of my friends had got here but just went back on the same plane. They were able to get a fast 20 minutes tour. That was never a option for me. So stayed here for 5 days and really enjoyed it. Alofi itself is nothing to write home about. But the island itself has much charm. Especially around the coast. There are no beaches as such. Niue also known as "The Rock" . The Post office is now part of a Bank . So first time I had seen this. This is also the case in New Zealand. The Philatelic bureau and the Post office are not the same business. They are just across from each other. The Post office gets the stamps from the bureau and then that is what they sell. No full sets here. The Philatelic bureau has a full range. 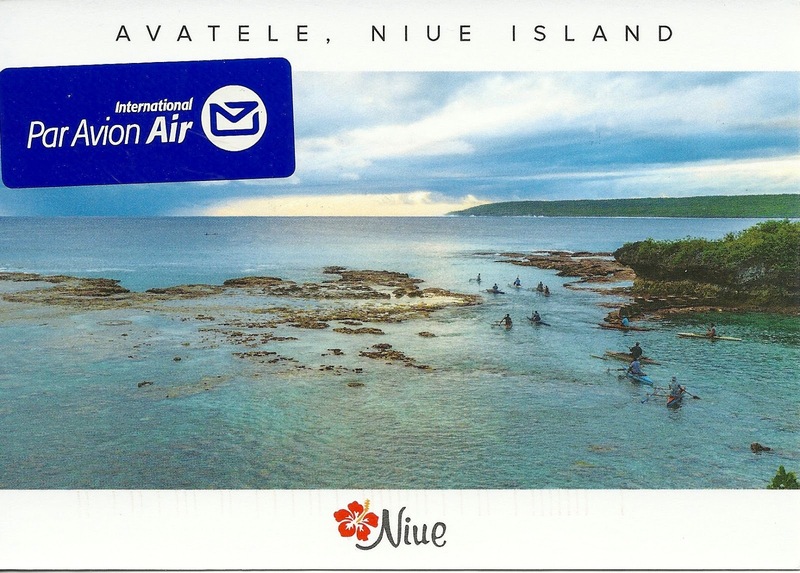 The Postmark is the standard postmark currently in use in Niue. Pacific Ocean-Norfolk Island-Burnt Pine What a beautiful Island to visit. I was surprised by how much there was to see and do. Here for 5 days and enjoyed it all. Not like at all the rest of the islands in the Pacific. Also on this trip had the most tourists as that is really what the island relies on . Famous for its Norfolk pine trees. It was only when I arrived on the island did I become aware that the Island was to become an Australian non self governing territory in July 2016. Publicity most everyone was upset over loosing their own self government . But privately I found more happy to see how it goes. One of the results of this is that Australian Post will take over the mail services. 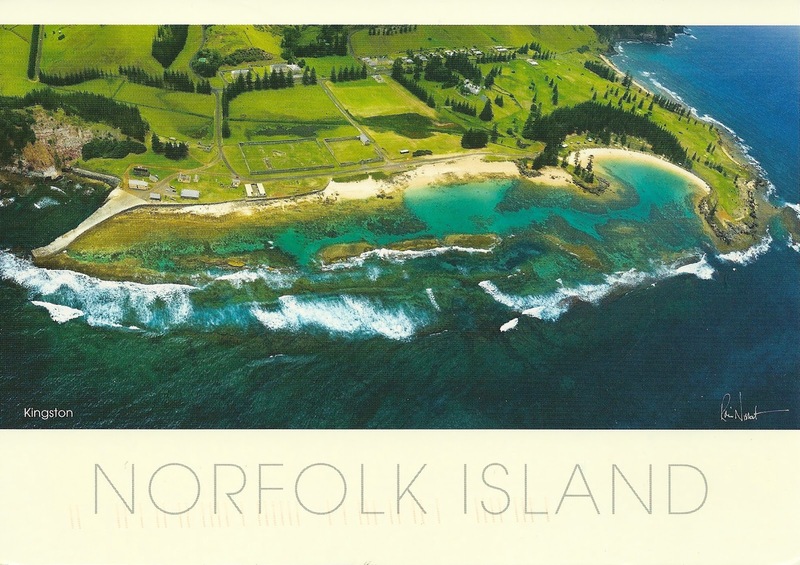 As such then Australian stamps will be used , though it is expected that Norfolk Island will have own issue stamps from time to time , just like Christmas Island and Cocos (Keeling ) Islands. Quite a selection of stamps here to be seen. A lovely Post office, but it will in future be attached to a Grocery store across the road. Glad I got here , before it all changed. 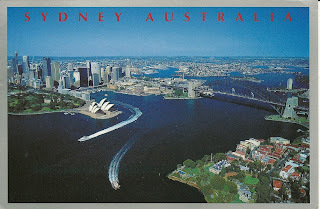 Pacific Ocean-Australia-Sydney One of the beautiful cities of the world. Taking the ferry from Circular Quay past the Opera House and the Harbour Bridge day or night is one of those scenes you never forget. The Postmarks in Australia can be disappointing. Included here is a stamp from the miniature sheet to commemorate the Queen's 90th birthday. Pacific Ocean-Tuvalu-Funafuti Tuvalu is like a long lost friend to me. As a child I had a fascination with this country and I suspect this will be my last time here. It was amazing to get back here and see the progress the Country has made. The Pacific in general is very safe place to visit. No crime worth talking about here as there is no place to flee . I was surprised how many tourists I met here. About 6 and they were visiting to see " The least visited Country in the World " . The Power of the internet and lists. No so many of those lists I would disagree with. 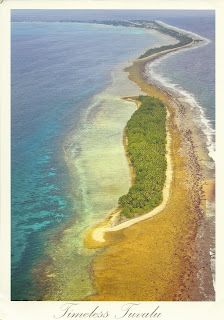 Funafuti is the only Island I have visited as there is is only a shipping service to the outer islands. 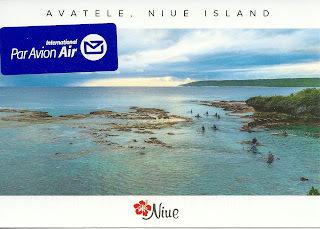 Postcards are hard to find in Tuvalu. The Post Office had one of a stamp on stamp from the Definitive issue of the 1990s featuring birds. 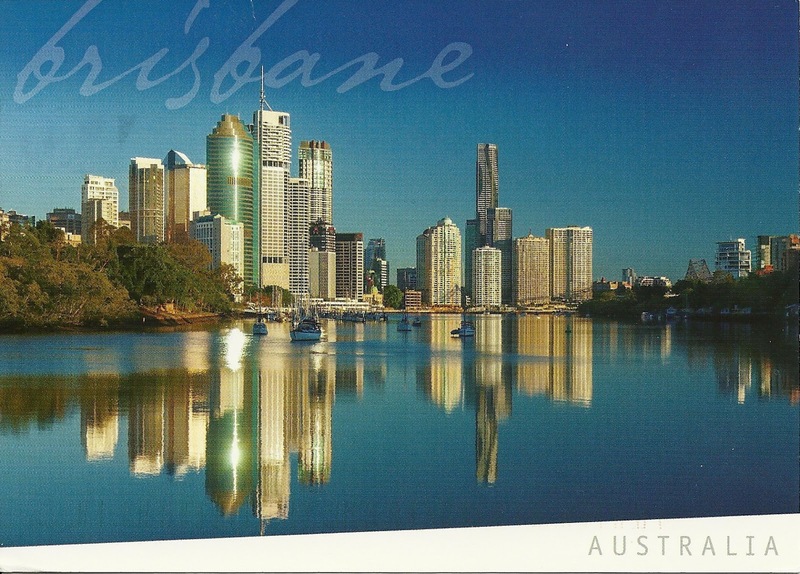 A fellow traveller from India told me where to find a postcard. So here it is. Larger then usual. The Post office had just recently got in new date stamps so here they are in clear blue ink. This Definitive issue was sold out and they had a few sets left complete , But they managed to let me get some stamps from this issue. A very friendly Post office . Tuvalu used to have a conservative stamp issuing policy. Now they issue many issues. But if you collect thematics contact the Tuvalu Post office online and they have many issues going back years available at face value. A very full selection of stamps available at the Post office/Philatelic Bureau. Pacific Ocean-Kiribati-Tarawa My third trip to Tarawa . This time it had changed a lot . New roads and more shops and new accommodation. The old government hotel has seen better days and did not stay there this time. Seen no tourists here , just workers upgrading the runway at the airport. This card shows the Japanese tank that was used in the second world war. These cards were posted at the same time but two different postmarks. Pacific Ocean-Australia-Brisbane My starting point on this Pacific journey. 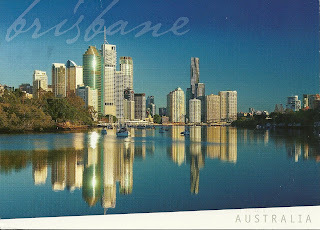 Brisbane is a lively and impressive city. The river is wonderful and well worth taking a trip on. Visited the GPO in Brisbane . A old Colonial building . But inside modern . A selection of stamps available at the philatelic counter. Pacific Ocean-Australia-Brisbane Always wanted to visit here. 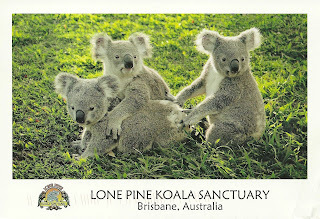 It has many animals not just Koalas. Kangaroos and Emus were also here. 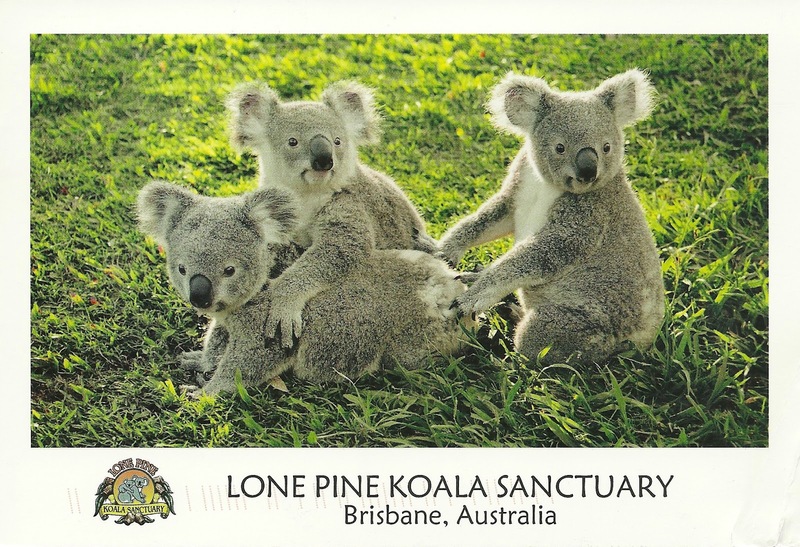 Enjoyed a half day here which included taking a photo with the Koala in my arms. A great day. A set of stamps celebrating Australia in World War 1. Hard to read the cancellations on these stamps. Well after years of planning here I was in Penryhn. It was a great feeling to arrive here and to at least step on this island. The most remote of the Cooks Islands. Of course the reason I was here is that Penryhn issue there own stamps. 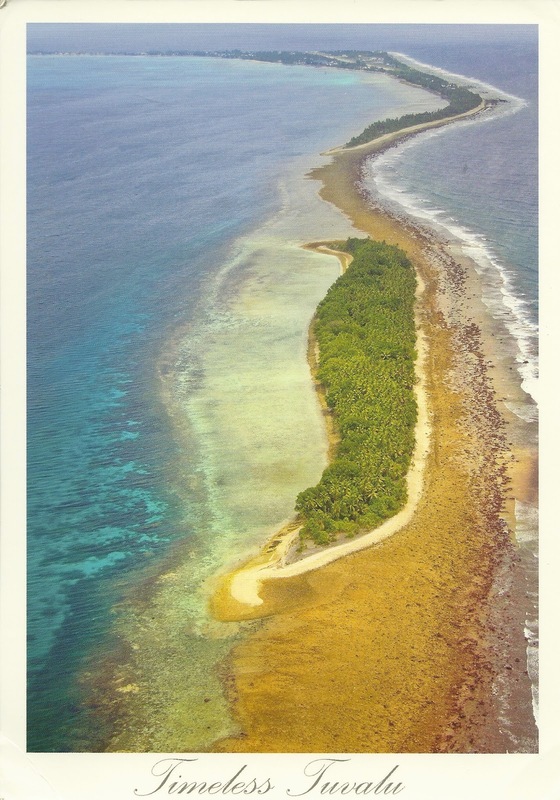 The island is also known as Tongerava . My transport on Penryhn , Back of a truck. Volleyball is played a lot on the islands. The Post office in Penryhn. They had a full selection of stamps . All Penryhn, no Cook Islands stamps. The Postmaster on the left here , was also the agent for Air Rarotonga and ran one of the local shops. So a busy and important lady.... Wearing the Bluesky shirt especially for my visit as Bluesky is the operator of the Post Offices in the Cook Islands. They do get some Philatelic mail but very little. It is hit and miss. It depends on the aircraft. All flights up here are Charter . It can be months from one plane to another . In the mean time there is also the ship. 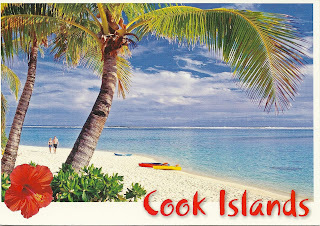 Still in the Northern part of the Cook Islands. Manihiki is famous for Black pearls. This is how most of the wealth of the Island is now made. However there is only a handful of Pearl farmers now doing it. It takes quite a number of years from start to finish. The Post office at Manihiki. Plenty of Stamps available to buy. But no sign of the Cancellation. Could not be found !!! . Like Pukapuka very little mail going out . Last time a few months ago when a cruise ship had a stop. Some of the local pearls. These were rejects and as such was just thrown back in the water. A Pearl farm in the Lagoon as we come into land.